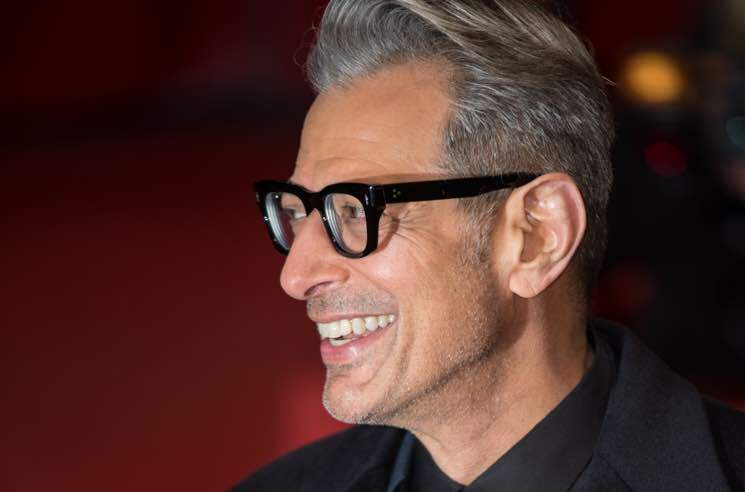 Jeff Goldblum is the latest actor to make the jump from the big screen to the recording studio. The Jurassic Park actor has revealed plans to release his debut album through Decca Records. The jazz enthusiast has performed in a band called the Mildred Snitzer Orchestra since the '90s and regularly hosts a jazz variety show in Los Angeles, but according to Billboard, it was an appearance on The Graham Norton Show last year that sparked label interest. During the episode, Goldblum accompanied singer Gregory Porter on piano. "As far as I can tell, everyone loves Jeff Goldblum," Decca A&R guy Tom Lewis said in a statement. "He's a fantastic jazz pianist, a great band leader and just about the loveliest man in the world. His love of jazz is infectious and whenever he plays he makes you feel very happy. If we can take Jeff's music into people's homes then we will be helping, in our own small way, to make the world a happier place." Goldblum himself added, "I'm so happy to be in cahoots with the wonderful people at Decca, one of the coolest and most prestigious labels of all time." The album will feature a collection of jazz piano recordings. A release date for the record has been announced yet, but it is expected out before the end of the year. Revisit Goldblum's performance with Porter down below.